African cichlid fishes are one of the world’s most remarkable examples of the evolution of biodiversity through a process known as adaptive radiation — the rapid formation of numerous ecologically divergent species. We use genomic tools to study fundamental questions about the evolution of biodiversity in East African cichlids. This work is currently supported by the National Science Foundation. Postdocs Chad Brock and Liz Mandeville, and PhD student Jimena Golcher-Benavides work on this project. We also continue to work together with with long-term collaborators at EAWAG in Ole Seehausen’s group. Our fish room allows us to bring a little bit of East Africa right to the University of Wyoming. Genomic data provide tremendous opportunity for studying population-level differences backwards in time, as well as spatial differences among current populations. We are using genomic data to study the origins and population biology of two groups of non-cichlid fishes in Lake Tanganyika: endemic relatives of the Nile Perch (Lates spp.) and the endemic clupeids Stolothrissa and Limnothrissa. All of these fish are crucial components of the fishery in Lake Tanganyika that provides food to the millions of people living around Lake Tanganyika. Using genomics, we are looking for evidence of how their populations have fluctuated in size through time, when they originated in the 9-12 million year old lake, and how their current populations are structured spatially across this 600-km long ecosystem. This work has implications for understanding the causes of current population declines and informing management of the fishery, as well as generating foundational knowledge about the biology of these unique species. PhD student Jessica Rick leads the work on Lates, and has received funding from a number of sources to support her work. The work on the clupeids began as a project funded by The Nature Conservancy together with Pete McIntyre (University of Wisconsin), and now is a collaboration that includes Ole Seehausen and Bernhard Wehrli at EAWAG in Switzerland, funded by the Swiss National Science Foundation. Julian Junker is the Swiss PhD student leading work on clupeid genomics. Rainbow trout (Oncorhynchus mykiss) have been widely introduced across the world, and in some locations hybridize with native trout. Postdoc Liz Mandeville works on this project together with Katie Wagner and Annika Walters (University of Wyoming) and Jason Burckhardt (Wyoming Game and Fish). We are studying hybridization between native Yellowstone cutthroat trout (Oncorhynchus clarki bouvieri) and rainbow trout in the North Fork Shoshone River drainage near Cody, Wyoming. This work is funded by the Wyoming Game and Fish Department. The interactive effects of top down (fish) and bottom up (nutrients) controls on aquatic biodiversity are poorly understood, particularly in alpine lake environments. Alpine lakes are generally nutrient poor, young ecosystems that post-date the retreat of Pleistocene glaciers. 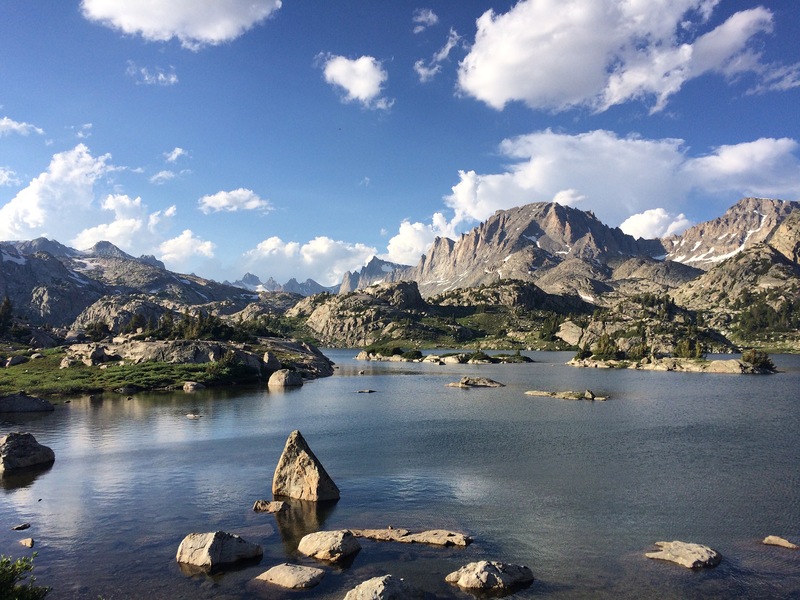 To support a recreational fishery, fish, primarily salmonids, were introduced to hundreds of alpine lakes in Wyoming’s Wind River Range, starting in the nineteenth century and continuing in some places until today. Furthermore, a wind-driven phosphorus (P) gradient across the mountain range leads to variation in bottom-up nutrient supply to these ecosystems. Katie Wagner in collaboration with Annika Walters and Amy Krist are using this natural and human-caused “experiment” to study the top-down and bottom-up controls on ecological community assembly in alpine lake ecosystems. This work is currently funded by the Biodiversity Institute at the University of Wyoming. We are enjoying a chance to do some local fieldwork!